Completely updated and expanded official rescue workbook of the National Ski Patrol, now available to other wilderness first responders and the general public. As a leading authority of on-mountain safety since 1938, the nonprofit National Ski Patrol has dedicated itself to serving the public and the outdoor recreation industry by providing education, and accreditation to emergency care and safety providers. Their core educational workbook, MOUNTAIN TRAVEL & RESCUE (first published in 1995), was researched, written, and reviewed by volunteer members and experts from all over the country, and is designed to help ski patrollers train, rescue, and survive in mountain environments, at resorts, in the backcountry, and at any time of year. In addition to new illustrations, this edition offers significantly expanded lesson sections, a new backcountry medicine section, and more. 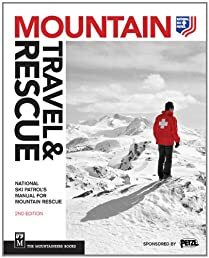 MOUNTAIN TRAVEL & RESCUE: NATIONAL SKI PATROL'S MANUAL for MOUNTAIN RESCUE is organized into four major sections: survival, travel, backcountry considerations, and search and rescue. It includes extensive appendixes, including medical equipment lists, a quistionnaire, and a glossary. Become a fan of My Topseller Ebooks on Facebook for the inside scoop on latest and most exclusive books. Copyright © 2012 My Topseller Ebooks - All rights reserved.